If you’re looking to start blogging, then the best piece of advice that anyone can give you is to begin with WordPress. Why? Because WordPress is what powers the vast majority of the blogs you already read. This is used by top brands across the internet including the BBC, Forbes and Mashable. It has been proven to work and countless people have become incredibly successful with it – so why go with an unknown quantity? As if that wasn’t enough, WordPress is completely customizable and open source and it has a HUGE community of users who are all ready to help you make changes. There’s a ton of support out there and even more resources, many of which are also free. And this all means that you can use WordPress to make exactly the website you want, with minimum effort. Plugins are a big part of that and can massively increase the power of your site while bending it to your precise will. Read on to learn more about what plugins are and how you can quickly and easily install them to start using them on your own blog. 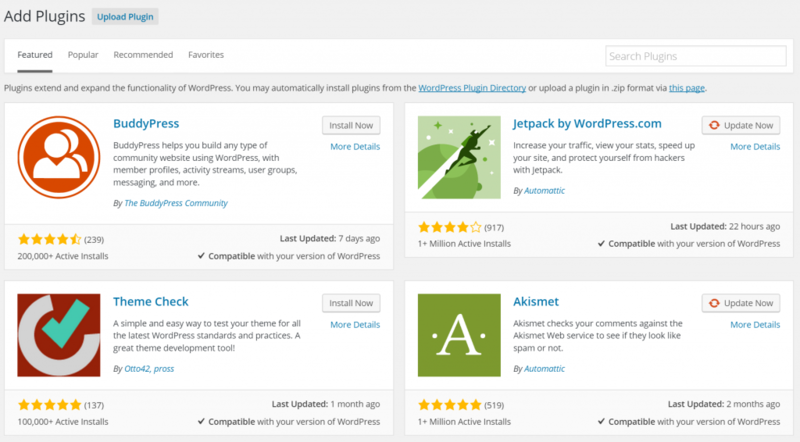 Essentially, a plugin is a program that runs on your WordPress site. WordPress itself is made using PHP – a programming language that runs on the server before it decides what content to display to the user and how to arrange it. 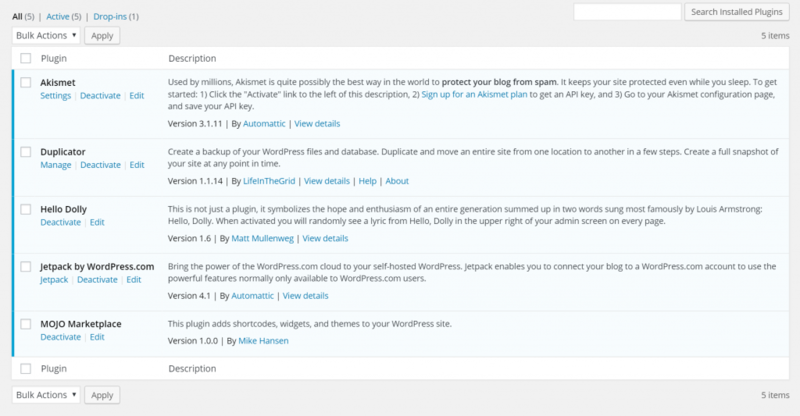 This is also what powers the WP Admin panel that you use when you make new posts or edit your site – it’s what prevents you from having to manually edit all the code yourself. What a plugin does is to slightly alter that code without you having to dig in and edit the PHP yourself. This in turn means that your pages might display slightly differently, or that you might get more options in the WP Admin panel to help give you more settings to tweak or to help make certain jobs (like handling SEO) easier. Plugins also include widgets (check out the post on widgets here) which enable you to add things like forms, extra links, images and more right in your sidebar. In short, a plugin can pretty much do anything to your site, without you having to do any code yourself! 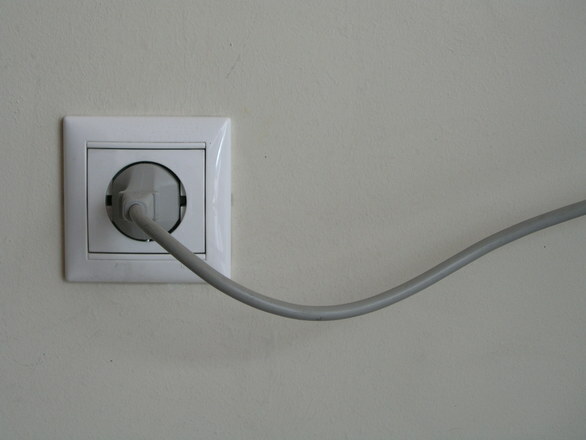 And the good news is that installing plugins is just as easy as making any other change to WordPress. This really is one of the things that makes WordPress SO useful for creators – the ease of use. To get started, just open up your admin panel and then go to Plugins > Add New. Here, you can scroll through a selection of plugins already available and then find the one you want. There are tabs along the top that will allow you to see the most popular options too, which is a useful place to look if you’re new to blogging. You can also use the search box to find the precise plugin you’re looking for. If it’s a widget you’re looking for, then just suffix your search term with the word ‘widget’ and that will normally do the trick! So let’s say that we’re going to install a plugin called Duplicator to our site. To do this, we simply select it from the list or search for it and choose it that way. This is a tool that will let us back up our site by the way. Note that at this point though, the plugin isn’t yet ready to go. You won’t actually be able to use the plugin you see unless you click ‘Activate Plugin’. If you’re ready to do that, then just click it now and you’ll be ready to go. This will take you straight to the page with all your installed plugins and this is where you’ll also be able to deactivate, delete or ‘edit’ the plugin. Note that editing means literally editing the code, so you won’t want to do that unless you’re already an expert! 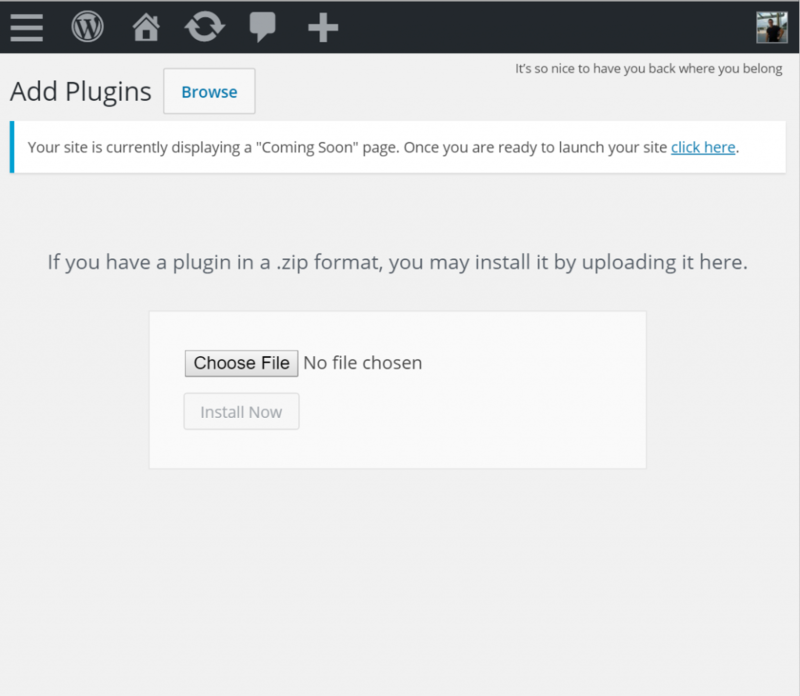 What you may want to do though, is to install plugins from sources other than the main plugin store on WordPress. You can do this easily thankfully and all you have to do is click the button that says ‘Upload Plugin’ up top on the ‘Add New’ page. P.S. Don’t you just love those little messages in the top right hand corner? Your plugin should be in a .zip format, as this screen indicates, and you’ll be able to find them by downloading from other websites, or even by outsourcing the creation of custom plugins – just ask someone if they can make you one and this is what they should provide you with! 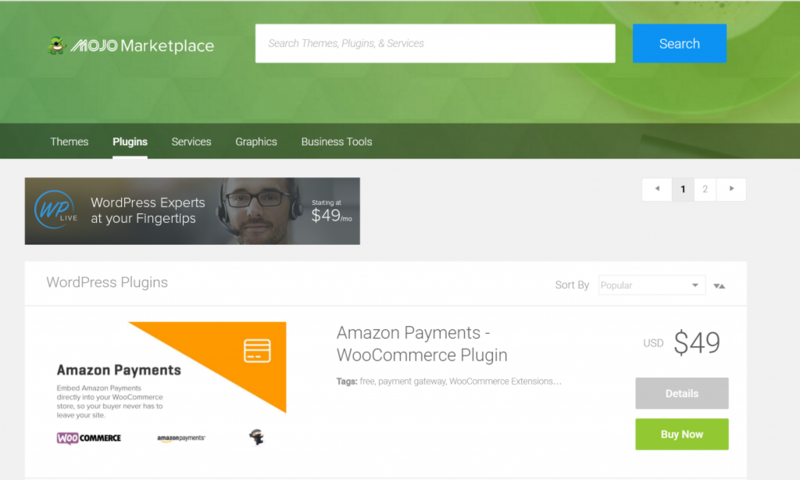 Note that you can also find paid plugins, which tend to have other, even more impressive functions. Simply select Plugins > Premium Plugins and then you’ll see the ‘Mojo Marketplace’ (if you installed your version of WordPress this way) and you’ll be able to buy some more advanced plugins that will add even more functionality for your site. Of course you’ll then also need to customize the settings for each plugin and change the way they work. But this is where we must part ways, as the way you do this will differ for each plugin! If you have activated a plugin and you’re not sure that it is working, then try looking around the WP Admin panel to see if new options have been added to your Appearance, Tools or Reading menu. You may also have new options available when you create a post, or you might be able to find more widgets on that page. Have fun!